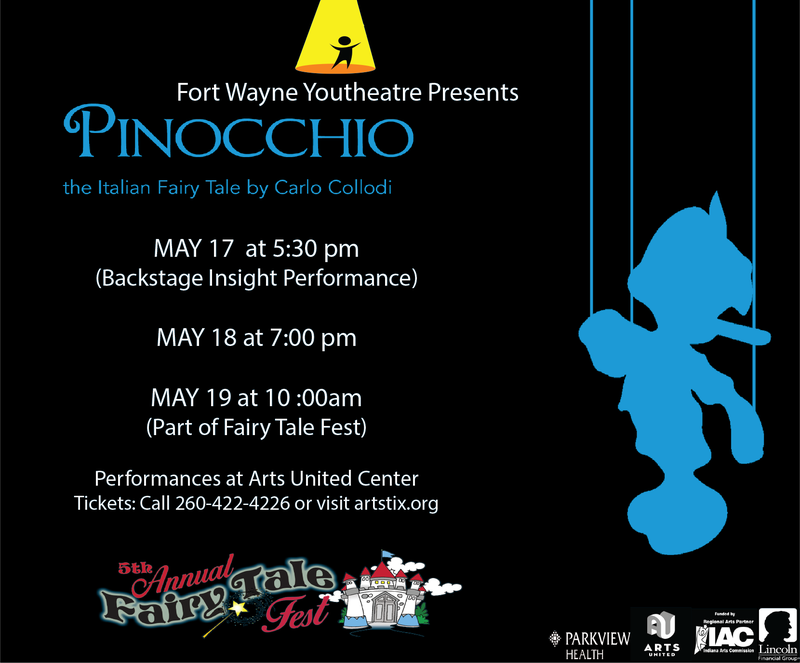 A Disney Classic, this musical tells the story of Pinocchio from Geppetto’s perspective, the famous toymaker. It features favorite classic songs such as “When You Wish Upon a Star” and “I’ve Got No Strings,” as well as many new songs by Oscar winner and Grammy Award winner, Stephen Schwartz. You’re invited to our PreShow “Puppet Carnival”! Meet our cast, enjoy supper, music, carnival games and a pre-show puppet show!